On Monday we had a busy start with three very different meetings: United Nations High Commissioner for Refugees, where two of their Protection Officers discussed the Agency’s priorities for 2014 and how they operate and enhance protection to a vulnerable population in a country that is not signatory of the Refugee Convention. They talked about the current changing context in the border; the official UN position in regards to Myanmar; and the possibility of return for the hundreds of thousands that have been in protracted situation in Thailand for the last thirty years. The bottom line is that they do not think that the conditions are not appropriate for return. With all this, UNHCR Thailand continues to respond to protection needs of refugees from Myanmar (“people displaced by conflict”); they are advocating for a national asylum mechanism and have funded a project on peace and reconciliation in the camp that uses mediation and restorative justice (implemented by International Rescue Committee’s Legal Access Center). One crude reality with the voluntary repatriation program is that the younger Burmese want to go back, while the older generation refuses to do so, out of fear -and with reason. It came to my mind that this is a parallel with my clients’ children in the United States, who don’t understand what their parents went through escaping persecution and torture to secure a better life for them. But I must remind myself that comparisons are unfair. Fellow Ian, from Malawi, thanks UNHCR Staff on behalf of our Class. From there, we had a very different meeting with Chris Clifford from The Border Consortium (TBC) from whom we got a more critical view of the change in context and a different picture of reality. 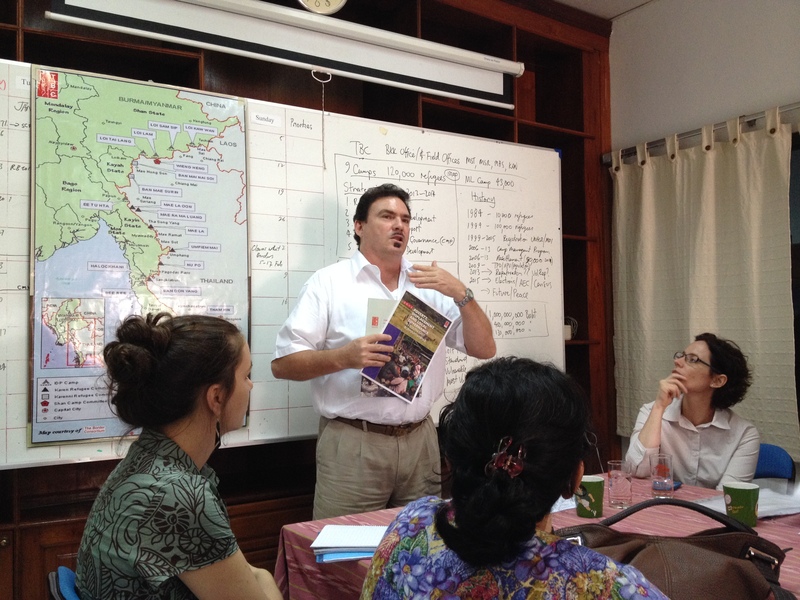 Chris Clifford -using something similar to a mind map– walked us through the history of the 120,000 refugees that live in the country; TBC’s strategic plan and its various programs to address their needs. An organization that was formed by “volun-tourism” today counts with a more solid program that provides food, shelter, nutrition, Community Managed Targeting and Income Generation (IGD) while also looking into conducting operations into Myanmar by being very involved with Non State Actors. One very important insight we heard from him was the importance of letting the refugees decide and of not isolating them (versus the approach of some NGOs of making the decisions for them). It was a sound reminder of the importance of ensuring participation of the affected parties in any development project, so that their voices are heard and that they own any accorded solution. After lunch, we traveled to the Mae Sot office of International Rescue Committee (IRC), one of my agency’s Collaborative partners. I’d like to think that the Los Angeles office of IRC is responsible for me doing the work I do today as they received me as a volunteer for five months in 2003 and later sent me off to LAFLA with great recommendations, so I will always be grateful to their staff for sharing their time and mentoring me in my first refugee-related job. Once again, while so far away, I felt home. Why is this theme so recurrent? We were kindly received by Atchara, the Project Coordinator of IRC’s Legal Assistance Center (LAC). This program funded by UNHCR promotes sustainable access to justice for refugees by strengthening engagement and the capacity of response within the camp and with Thai authorities. 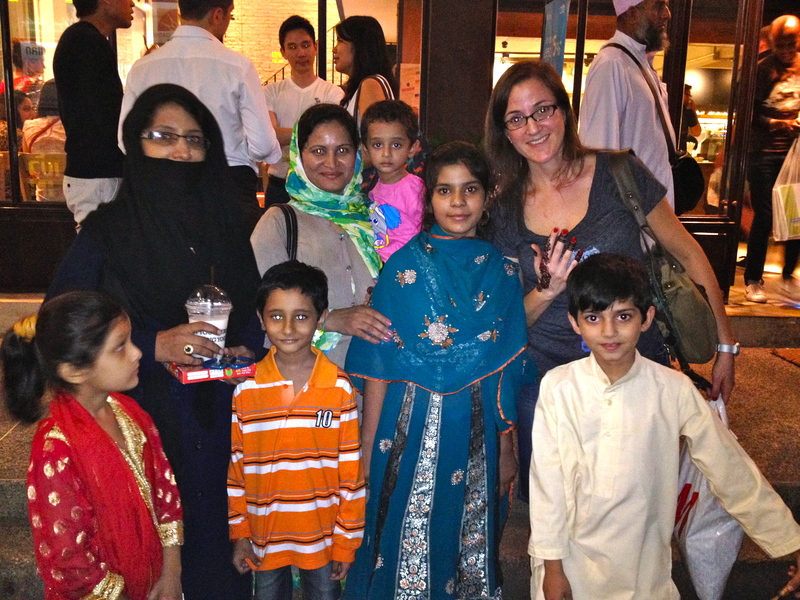 LAC increases legal awareness and helps refugees assert their rights and access remedies. Unfortunately, refugees don’t know what’s going on outside the camp, nor that they are under the jurisdiction of Thai law so this program empowers them immensely. Atchara highlighted that the Karen refugees come with their own practices and that they are very autocratic, so there was a huge need for training on human rights and human standards of treatment of detainees. They have been away from their country for a long time and have been confined to remote closed camps. The lack of resources and many barriers make the Royal Thai government reluctant of many issues. On a side note, shortly after arriving, we heard from her that there was a fire at the Umpiem Mai refugee camp -which we later found out was controlled. It was worrisome as there had been some fires in December at Mae La, having to do with the type of construction materials they use for these “temporary” shelters. I keep thinking of the intention behind the semantics of all these terms, and how the Thai government is trying to diminish the importance of these groups seeking humanitarian protection within their territory -and that it’s not just the fact that they are not parties of the 1951 Refugee Convention (nor its 1967 Protocol) but that admitting that there’s such a huge need debilitates their image. 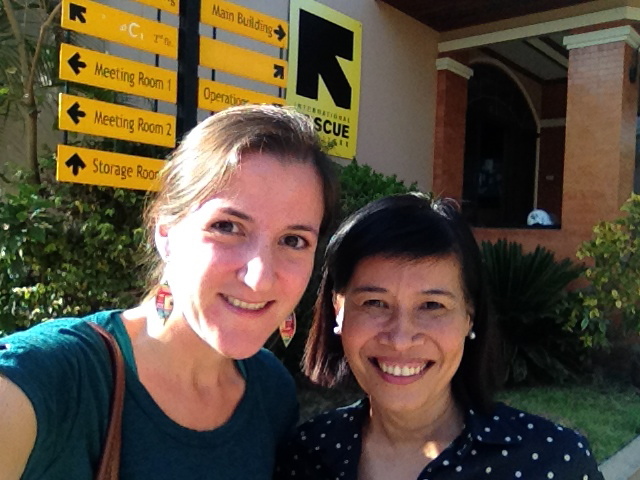 After an intense first day of institutional visits, I met up with Langan, an alumna of the Rotary World Peace fellowship who now lives in Mae Sot and works for IRC. We had met years ago at the California Refugee Summit while she worked for the Oakland Unified School District and had reconnected last year thanks to Rotary. Now she’s working at the Resettlement Support Center of International Rescue Committee -which is in charge of processing the Burmese refugees that are being resettled in the United States. What an amazing network this is! Sunday February 2, 2014 was here: Election Day. We left the housing complex super early to prevent encountering any street closures on the way to the airport. No incidents and we got there so early that we could not check in for another 30 minutes -but better safe than sorry! The flight was delayed due to dense fog, but we made it safely to our destination. Upon arrival to Mae Sot, we drove to the colorful Rim Mei Market that sits by the Moei river (in the border with Burma) to immerse ourselves in this very multicultural town. Here, Burmese and Thai weavings intertwined in -what seemed to be a somehow- quiet market full of mixed colors and flavors. Some hours later, after exploring and doing some shopping, we were looking to taste the Burmese flavors but failed to find a delicious plate of Mohinga soup -which Iona had described so amazingly on the plane. Instead, had another delicious soup dish very close to the Friendship Bridge (which crosses Thailand to Burma). 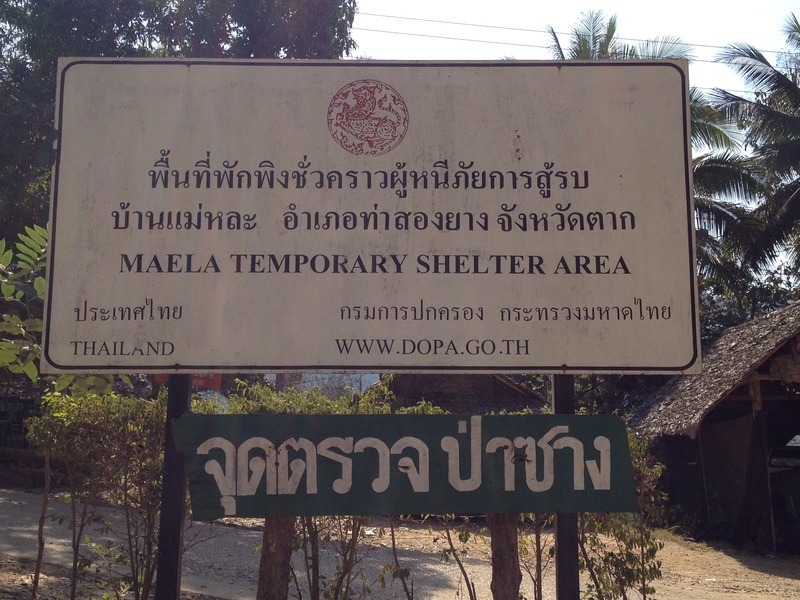 That afternoon, after much expectation, I was devastated by the news that we would not be able to access the Mae La Refugee Camp (or “Temporary Shelter Area” -as it’s called by the Thai government). For months, since I first applied to the Fellowship, I had dreamt of being there and helping out providing some service to a community that has been forgotten for decades. Instead, our first day in town included a mere drive-by to the area, to see the camp from the outside. It felt terrible to be there -almost as if we were visiting the zoo. I was embarrassed and upset that they had taken us there just for the show, but I recognize that there were others in our group who wanted to witness this -even in this manner. My hope is that future groups of Rotary Peace Fellows that come out for their field study have better hands-on experience in this regard. We closed our first day in town with a special reception by the Rotary Club of Maesot Maung Chod (Club RI 3360) -big shout out to the organizers! 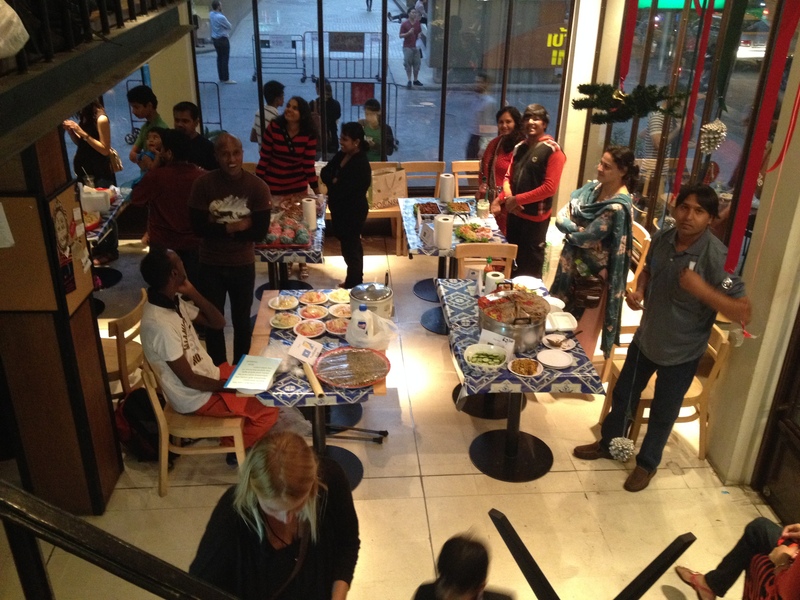 Everything was memorable: the location, the food and the karaoke! 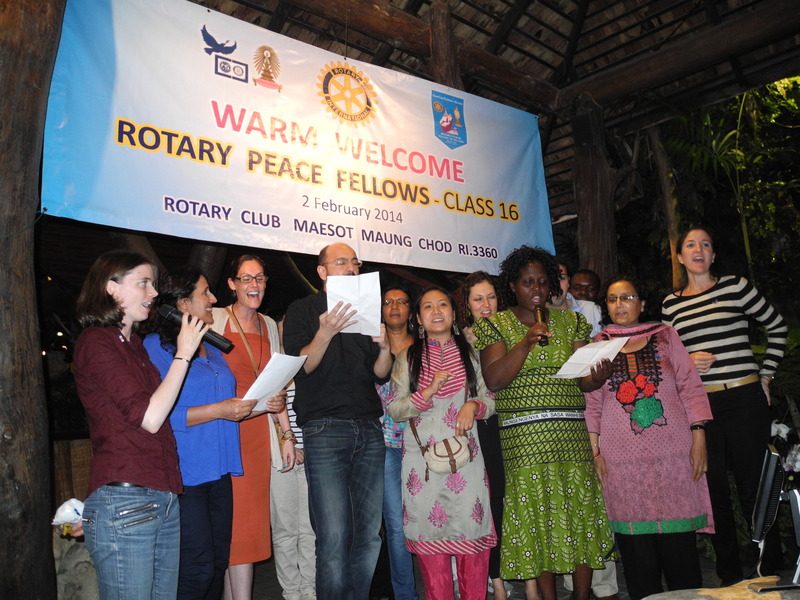 Here’s a picture of the group singing The Rotary Song. 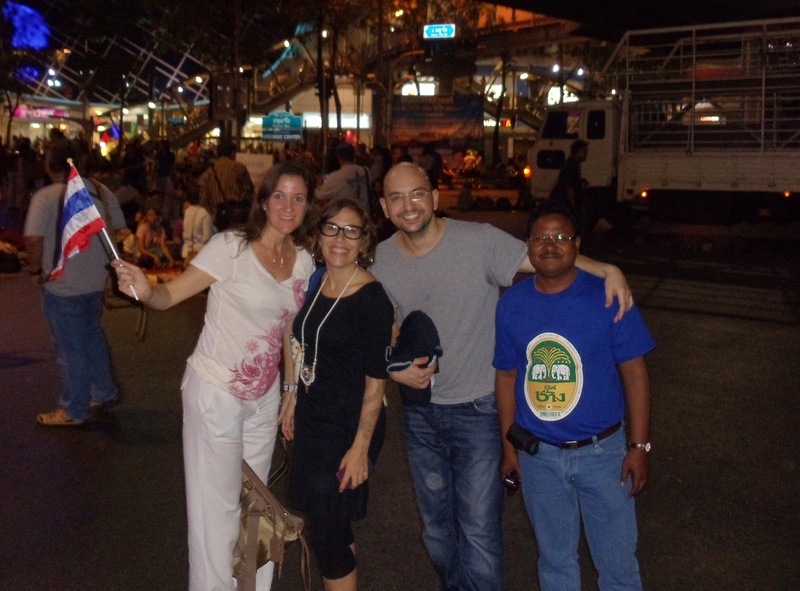 Suddenly, while being so far away from our loved ones and exhausted from a day that had started at 4 AM we felt welcome to the city and part of their big Rotary family. It’s Saturday morning; I’ve already run 5 miles -missing my Pasadena Pacers; gone to the gym; talked to Freddy; had coffee with Bridget and cleaned the room. Yes, a very domestic start of the weekend. In the background I listen to Héroes del Silencio and I prepare the bag for our departure to the North West for our Mae Sot field study, I realize that I haven’t been keeping track of this week’s events. So here’s my weekly post. In class it was our third week of lectures, which started with an international fashion show. Since I was not able to bring a typical dress from Tenerife, I decided to go pop culture and bring a Spanish fútbol jersey. 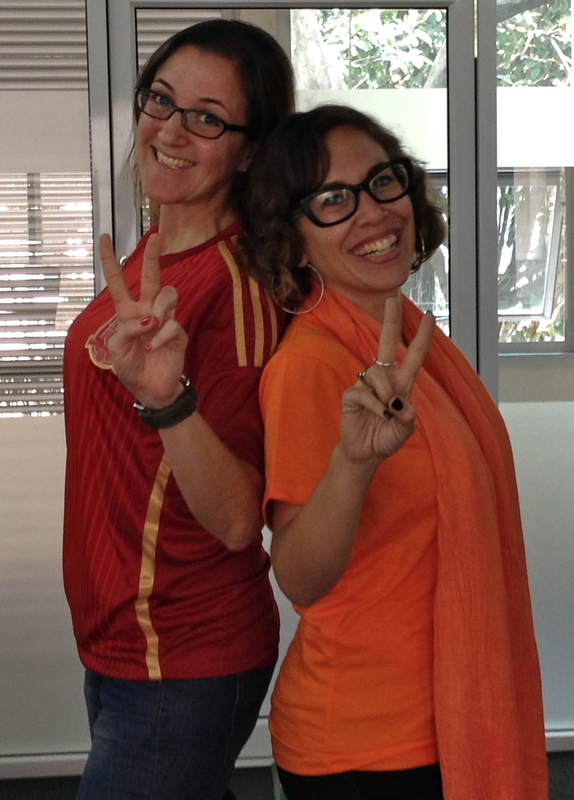 Pictured here the rivals: Netherlands and Spain – with rockstar Bridget. For five days, we traveled across the Dispute Resolution Spectrum and learned mediation, facilitation and negotiation techniques from Jan Sunoo and Valerie Harragin, from the Federal Mediation & Conciliation Service. After discussing the problems with stereotypes, we discovered which working style each of us had and were not surprised to see that half of our group is “amiable”. In mediation, we saw the importance of active listening in action and how to look for links that strengthen the relationship between the parts involved in the dispute to help them get to a joint solution. From Tuesday to Friday had numerous exercises, including one interest-based negotiation in which I was an agricultural development officer for an American conglomerate trying to build a resort in the beautiful land of ‘Rungia’. On Thursday we said goodbye to our colleague Suthan, a social worker from Sri Lanka, who had to return home due to a family emergency. We’re now minus 1 and it will be hard not to hear his stories, learn from his resilience and bravery on his daily work empowering Tamil women. On Wednesday, 14 of us had a cultural expedition for Korean food -my first time (don’t kill me!) after living in LA for 12 years and working in K-Town all this time and had never tried this before). It was lovely, especially as we were introduced to many of the rituals by Jan and his wife Brenda. F____ THE FAME – WE’RE ALL THE SAME !!! It’s been a couple of days since I last entered some notes in the journal, so being Sunday night; I need to recap the end of the week…here and there. “Remember that the world is much better today than 30 years ago. Because of media logics, positive things tend to be overlooked. There are a lot of positive things that we can do! And yes, time flies! I want to make this count. It’s been 3 weeks now since I arrived in Bangkok, so it’s only 2 more months left!I need to do more, I’ve been feeling so trapped inside Chula, though this last weekend I was able to explore a little bit further -thanks to the Refugee Bazaar event at Café Bicycle -the Bangkok version of Café Bolívar and met some very interesting people. Too bad I did not have business cards with me, but I’ve already email them (crossing my fingers to reconnect with them to continue the fascinating conversations). During the fair, a little Pakistani refugee girl (in blue here), ambushed me for a henna tattoo, which I was not planning on getting. I have to think that it’s a nice souvenir of a memorable night. I also met Anoop from Asia Pacific Refugee Rights Network, who reminded me a little of me -as both a coordinator and connector with so many agencies and very involved in the issues in this region. I also got to practice my broken French with Beatrice, a refugee from the Democratic Republic of Congo who was selling necklaces and earrings (got some green ones) and 2 other refugees from Pakistan (2 sisters) who had fantastic vegetarian options and whom I hope to meet again. Sunday morning was relaxing, reading a lot and updating my Individual Conflict Assessment (ICA). Then around noon went for some pool time and brainstorming discussion under the sun with Iona (New Zealand) -which was quite productive. Tried getting my laundry back but it was closed, instead got some fruit and headed back to the dorms. I read some more and skyped with Freddy -from my room (wifi luxury!!!). It’s midnight already and after 1 hour of journaling I might have to change my plans of running in the morning from Monday to Tuesday…let’s see! Good night! 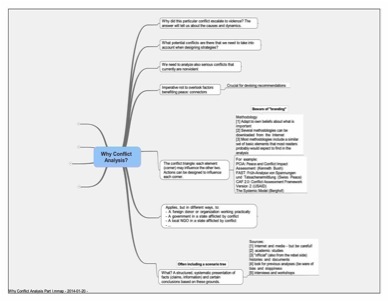 I haven’t written much since Saturday, so I have some lines to catch up with… Where to begin? Sunday! After an intense Saturday, I went to bed early and watched some Newsroom, as we had absolutely no wifi in the building -connections were down. Sunday morning I woke up to find out the situation was still the same. Before leaving for church, I decided to try the new coffee shop in our building Mongkol, which was AMAZING! I sat down and enjoyed it together with a butter croissant and some orange marmalade. Yes, it sounds so trivial but I needed this so much! Finally a perfect latte that is not super expensive (same price as in campus! ), what better stabilizer to close this week? At 9 AM, I left for Church with Suthan (Batticaloa, Sri Lanka), Stephen (Assam, India) and LaMonte (Philadelphia, USA). 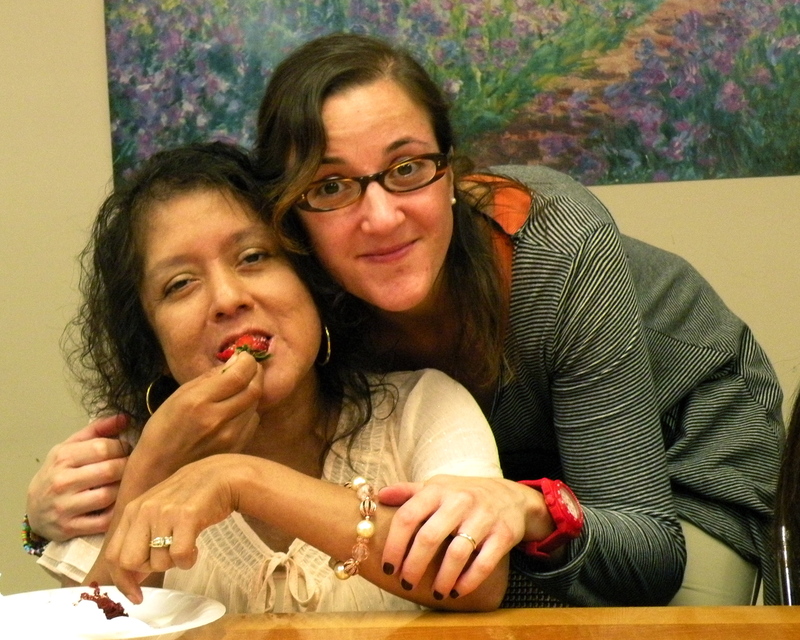 Anjali, the cousin of my ACLU-SC friend Ahilan had invited us to her church -which I mistakenly thought was Catholic. Once we got there, we realized it was Anglican, but that people from other denominations also attend. It is a very international gathering. We first met Neal and Anjali’s kids. She was directing the service, which was fantastic. Longer than the usual services I have attended in Catholic churches, but definitely much more grounding. Many of prayers are the same and different than Catholic Church, it is much more participatory. After the service, we had some tea with them and got to talk about a Sri Lankan family that’s seeking refugee status here in Thailand, who Anjali is trying to help. We headed back around 1 PM and decided to get lunch at MBK. While I thought we were going to end up talking about religion, we didn’t. It was an interesting lunch conversation, about the group experience of the fellowship and life and the similarities among us. In the afternoon we got news from Martine hat there had been a bomb explosion in Victory Monument and to avoid any protest areas. That same night, a security tree was designed by Suthan and circulated among us. This will allow us to get crucial security updates in circumstances like this. Before heading to campus to study for the week, I got to do some Facetime with Freddy and the gang, as most of my friends were at Elik’s place for his birthday. It was very emotional, after so many weeks here, to see them all at the same time. It makes me realize how much I value the life that we’ve built in California. Monday I woke up with a cold, not nice… so the day went by with a headache, some chills and congestion. Also, as I got to campus, I received a message from my brother Santiago that my mom had been in the hospital as she fainted at home and was by herself. Not a good way to start a week. After a couple of minutes, I was able to get more updates with him before heading to class: she was already back home resting. Good thing is that Monday we discussed a very interesting topic and had an excellent speaker, who kept us engaged regardless of the deep theoretical content of what we were discussing. 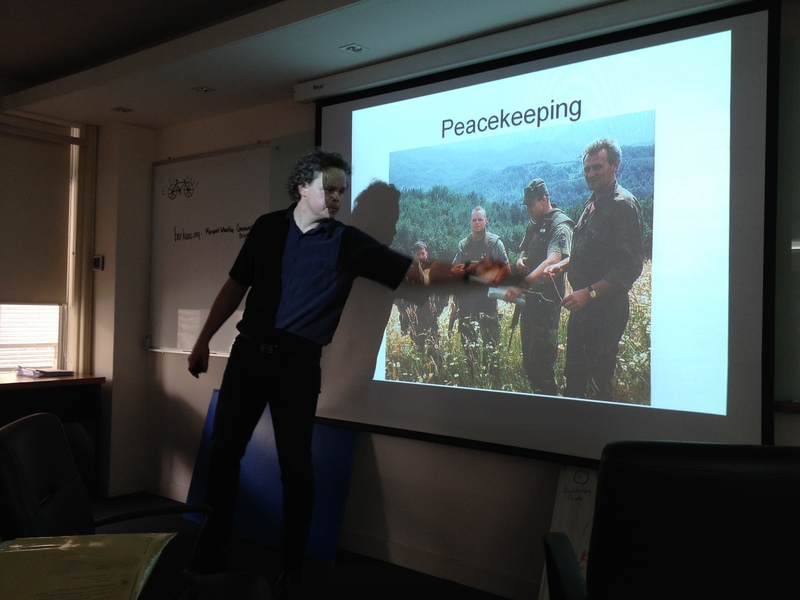 Our lecturer for the week is Erik Melander, a Swedish professor and Second Lieutenant in the Army Reserve who had served in the Bosnia-Herzegovina mission. I loved how Stephen introduced him, he didn’t just read his bio but added a very personalized style to his introduction and made us laugh as well. In the afternoon, I retreated to my room and slept this cold away. Then made myself a cheese, avocado and tomato sandwich (which was very good!) and studied some of the materials on Peace and Conflict Impact Assessment, which we will be presenting to the group on Wednesday afternoon. I talked to my mom around 8 PM and then came back to read some more and watch some Newsroom before falling asleep. OK, time for a mini-nap before I head out to get some food reserves and water. Still with a cold, but hoping this goes away soon -at least no asthma attacks yet! Tomorrow morning I will be meeting with Martine to discuss the topic and next steps, so I need to prepare a bit about that. 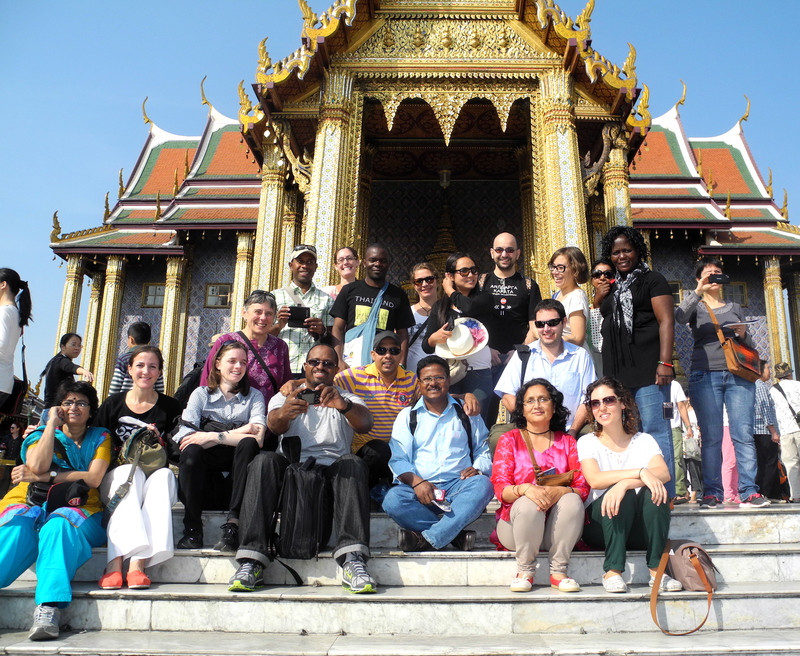 City tour of Bangkok and our first bus ride together (many AOC memories!). 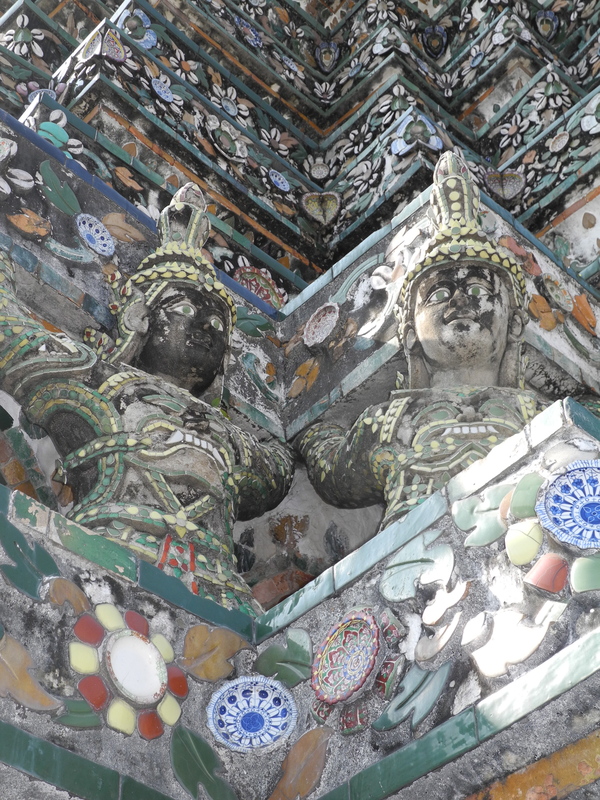 We visited the Grand Palace, The Temple of the Reclining Buddah and The Temple of Dawn (which was amazing!). I’m so tired! It’s been a long day, and I can start feeling the toll on me. 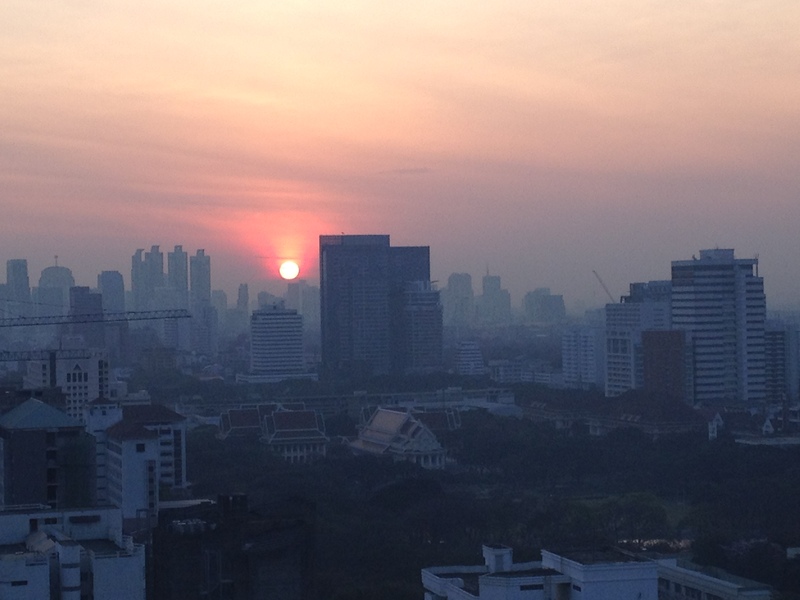 Well, that and the fact that Erin and I decided to go for a 6 mile run to Lumpini Park after being out in the city tour for 8 hours. On the way there, I realized that the park lays on one of the intersections where the protesters are setting camp and that the park itself had been occupied by tents with hundreds of people. Maybe they came from the countryside and they are just staying here until they see change. While there, we caught up with a zumba class -yes, in the middle of the park! It was great…and exhausting. My feet hurt so much now. I just showered and ate dinner, hoping I could gain some energy, but instead I’m collapsing while I try to write the journal and prepare to do some of the readings. I should go to campus to use internet and get up to date with communications too… but I need some alone time. That’s what’s taking a toll on me, I think? 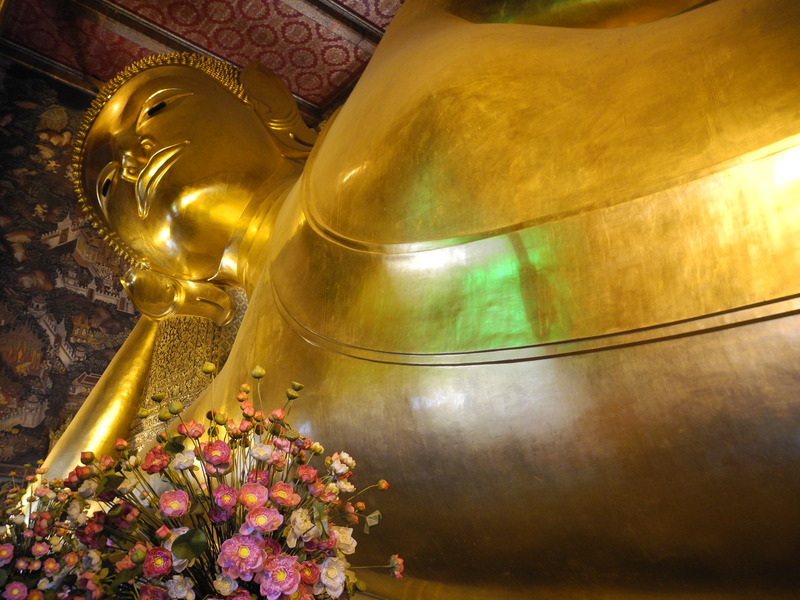 Things to remember: the reclining Buddha statute; zumba express in Lumpini Park; feeling guilty as we ran by the protests in Silom; and the spectacular view of the city from the top of Wat Arun. 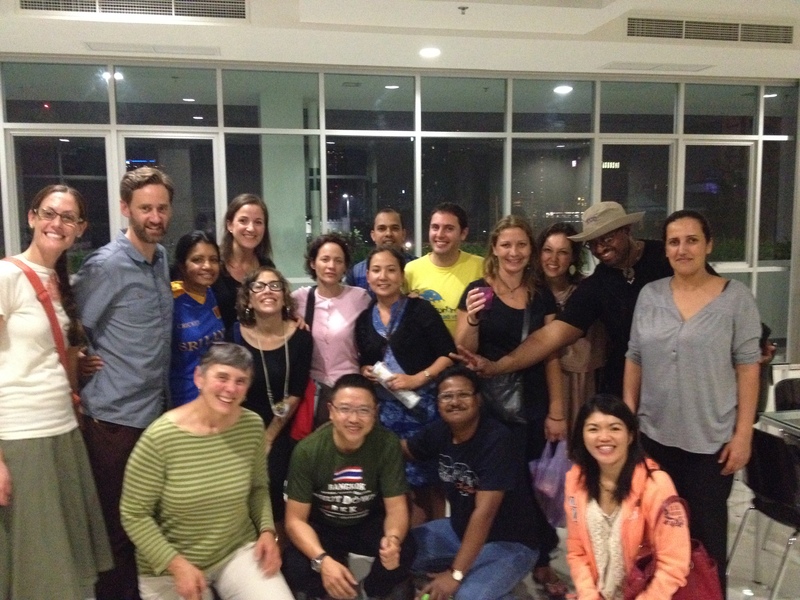 Today was our last day with Michael Fryer and Rita Manchanda, I can’t believe the 1st week of class is already over! So many things we learned and many others to go back to -like a delicious buffet! “(…) The professional crisis: after three decades of work, I had noticed that the most interesting peacebuilding emerged spontaneously and seemed to have little to do with all our peacebuilding work. Was this work worth the effort? And what, if anything, seems to be the core that holds it together? Tears… I don’t know if it’s the melancholy of the week ending or the power of the subject that we’re discussing, but I’ve been full of emotions this week, discovering new worlds and learning about conflicts that I knew very little of and learning about myself, trying to be more aware of the situations that upset me and trying to center myself more. 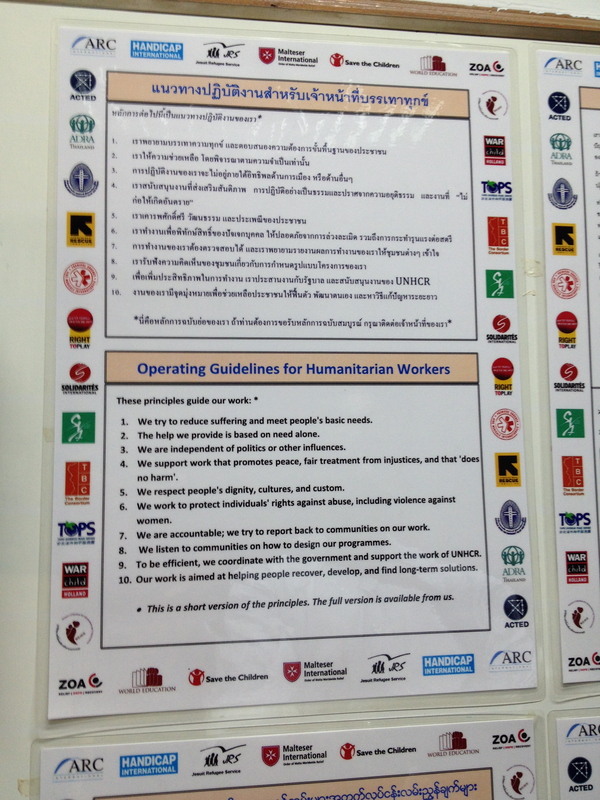 The day closed with a special security briefing by Director Surichai and the Thai Violence Watch team. There were some explosions (we were told “firecrackers”) near the Tesco that we usually go to…Apparently they were targeting the opposition leader, Sunthep. This was quite scary to us, as we felt more misinformed and isolated than we have already been. We were asked to avoid protest areas. Friday night we had our first social event of the course: a party on the 5th floor. I was in charge of mojitos (and of music for a little bit), which was fun. We met Spencer (Peace Fellow from the June 2013 class) and talked for a while. Before saying goodbye, Michael read our poem -which surprisingly was very in sync and taught us how to play a game called “Grand National”. It was hilarious! No wi-fi yet… Quick hello to all my friends out there! 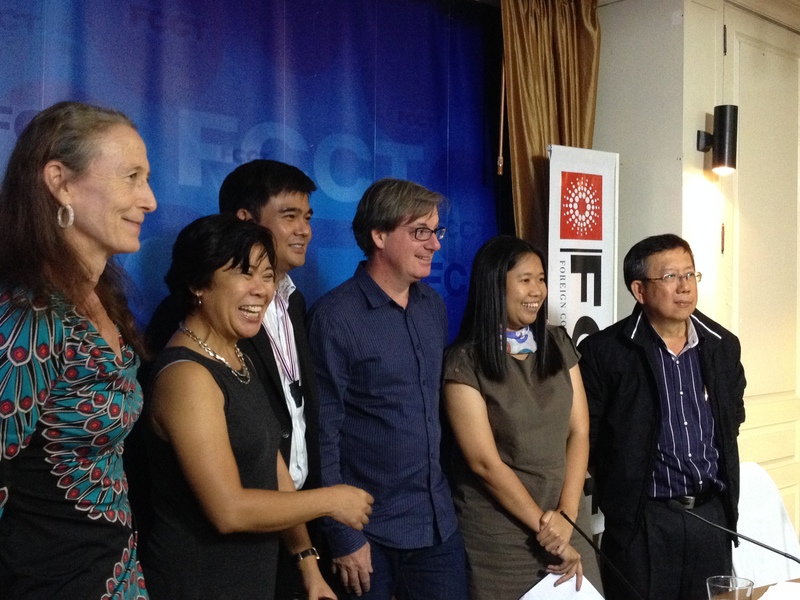 Here’s a bit of my second Thursday in Bangkok: early run around campus; fulfilling day of class discussing gender and conflict and a super interesting panel with journalists at the Foreign Correspondents’ Club of Thailand (some pictured here… BBC’s Jonathan Head, Al Jazeera English’s Veronica Pedrosa, Prachathai’s Pinpaka Ngamsom and Blue Sky TV). I’ve got very limited wi-fi, sorry for the radio silence! Miss you all! Today was Shutdown Bangkok, which meant that 7 major intersections that provided access to the city were closed, to impede government workers to get to their jobs. All this was part of a massive protest, asking Prime Minister Yingluck Shinnawat to resign and cancel the February 2 elections. People were marching on the streets, with black shirts that read “Shutdown Bangkok” and gathering together at these strategic points to occupy the city and shut it down. For us, it meant that the university gates were closed, so we went through a construction site and cut across the little creek to get to our building. We proceeded with class without interruptions. 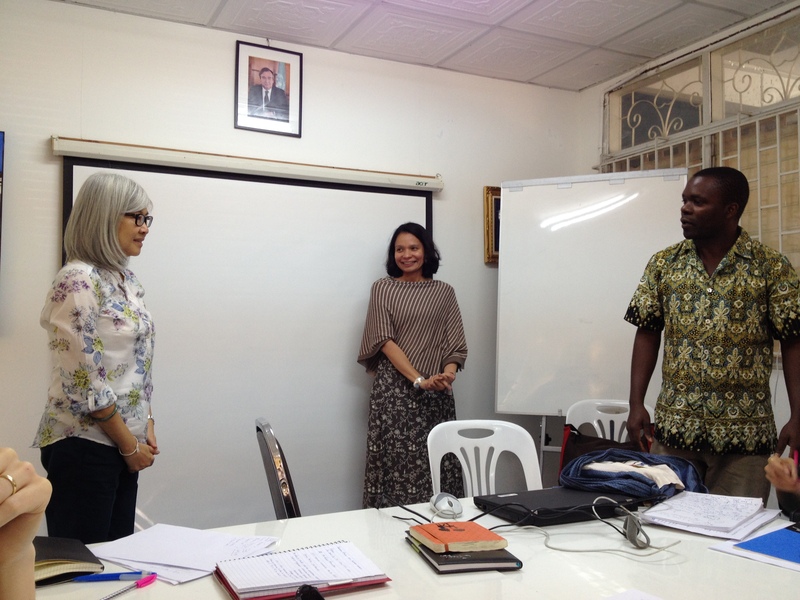 It was out first formal day of the program, in which Michael Fryer and Rita Machanda introduced us to the field of conflict resolution, influential scholars and schools of thought. It was an intense day, but we had a couple of group exercises that were very interesting. I specially liked the one about the 5 presidents and the UN Security Council. While we were learning about the theory of peace and conflict, outside of our classroom things were heating up and next door to us, some of the Chula political science students had set up a watchdog website called Thai Violence Watch, through which people could report the incidence of violence on the street. They developed questionnaires and surveyed people that were calling them -and others that they crossed on the streets. With indicators such as hate speech, tools used, etc. they were measuring how hot the situation was getting. I thought of Syria Tracker and my friend Hend and the wonders of crowdsourcing to document human rights abuses. After class, I decided to stay to use Internet and set up our Class’ Facebook group. It’s been a week and we didn’t have one yet? How did this happen?! I also worked a little bit and worried a bit about some of my clients, who will be needing services while I’m gone. After a couple of hours of getting back to people via emails and talking to our Deputy Director about several ideas, we went for dinner with 6 other fellows. On the way back, I tried to help L set up his Skype, so that he can see his family -but the wifi challenge here continues.